As a gateway to the magnificent Great Barrier Reef, Cairns has always been a shining star on Queensland's east coast, however this Christmas the Esplanade lit up with some shining Christmas stars of its own. The Cairns Christmas Concert, run by Einstein Events, was held last weekend in Fogarty Park on the Esplanade and lit up the town with a fantastic range of family friendly entertainment including appearances by contestants of the X Factor, Australia's Got Talent and, of course, Santa! The same folks who brought the city of Cairns the Fun in the Sun festival and Gordonvale's recent Christmas Fair last Saturday bough two of X Factor's biggest stars to the Cairns Esplanade for a night of family Christmas fun. 2013 X Factor official runner-up Taylor Henderson was joined by 2012 star Bella Ferraro and Australia's Got Talent icon Tommy Franklin. Local rockers Kaboom and the Cairns Children's Choir rounded out the performances on the night. Aside from the live entertainment, the Christmas Concert also featured markets, carnival rides, fireworks and an exciting visit from Santa that concert goers agreed was well worth the ticket price and was the perfect way to ring in the Christmas spirit in Cairns. Just in time to greet many of the tourists who visit Cairns and the Great Barrier Reef for Christmas, the concert was a welcoming event for families arriving on school and Christmas holidays. While some families said they were enjoying a break on the Great Barrier Reef before Christmas, many also admitted they had plans to stay over Christmas and some even into the New Year. While many families had been looking forward to kicking things off at the Christmas Concert, most said they would also be spending time at the northern beaches, Palm Cove, Port Douglas or the Whitsunday Islands during their Christmas break to the Great Barrier Reef. One of the most unforgettable places to holiday let along spend Christmas, parents were eager to share the magic of the reef at Christmas with their children. 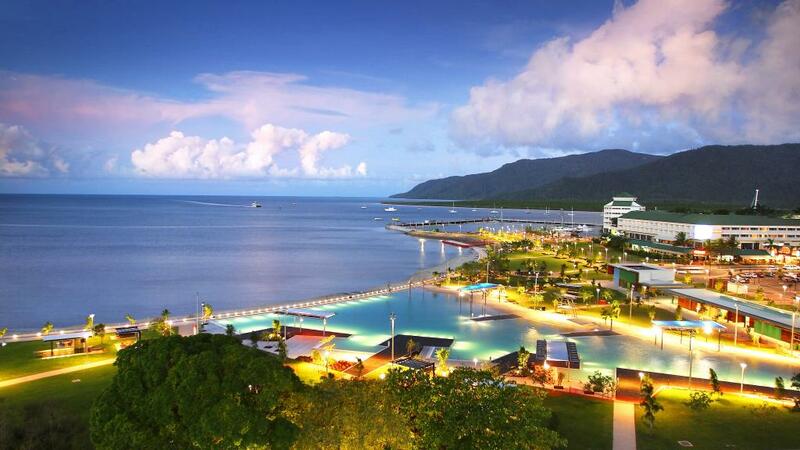 Find accommodation in Cairns.